The recent events in Boston and Texas are disturbing and unsettling for all American citizens. But for those of us charged with the protection and conservation of NC historical artifacts – everything from architecture to zippers – we must be realistic in being prepared for any kind of threatening event that might impact our facility or collections. Did you know that one of the bombs that detonated at the Boston Marathon last week was in front of the Boston Public Library? Did you know that the recent fires in Colorado threatened ancient burial grounds and historical cemeteries? Many times buildings and collections are greatly affected by an initial event but not directly involved. These are what are called secondary disasters. These sites and their facilities contain memorabilia, artifacts, books, papers, maps, furniture, and countless numbers of other items that may be at a severe risk of being damaged or lost forever. Of course, when we have notices of hurricane watches and warnings, we can be on alert and make preparations. But what about when an event occurs that does not involve the weather? What would happen if there were a chemical spill due to a train derailment within a 10 mile radius of your site? Or if there were a fire next door but not directly in your building? Or a collapsed dam? Heritage Preservation, a national organization dedicated to assisting institutions with the preservation of cultural materials, promotes awareness through its annual “MayDay” program. Participate by doing one thing to improve preparedness at your location. Please take time to ponder the needs of your site, collection or facility and make the effort to update your disaster plan. Are the emergency numbers and contacts still viable? Please make copies of your inventory and store them off site. Has your institution’s Recovery Priority List changed with the additions of new components? If we are to continue to use cultural resources to build the social, cultural, and economic future of our communities, we must do the very best that we can to protect all that is in our care, regardless of whether the disaster is directly connected to us or is a secondary fallout. Please take the time to do one thing this month to reach a state of preparedness in order to protect and preserve our cultural resources. For assistance with writing, testing, to implementing your disaster plan, or if you would like additional information about navigating disaster preparedness, response and recovery please contact C2C’s Disaster Preparedness Coordinator, Lyn Triplett at 919-807-7293 or lyn.triplett@ncdcr.gov. As this blog has discussed previously, the landscape surrounding your institution can serve as much more than a backdrop for your buildings. With exciting interpretation, it has the potential to become a portal to the past, just as artifacts do. Consider taking advantage of North Carolina’s beautiful spring weather and planning some outdoor experiences that can connect your collection and institutional mission with the surrounding landscape. The North Carolina Maritime Museum at Beaufort has been particularly active in developing public programs that bring the mission and interpretive themes of the museum beyond the structure’s walls. Curator of Public Programs Ben Wunderly, who presented on this topic at last month’s NCMC annual meeting, has turned a variety of outdoor experiences into maritime heritage learning opportunities. Last weekend the museum offered a guided hike through the Rachel Carson Reserve, focusing on the area’s flora and fauna. Other recent spring hiking destinations included Shackleford Banks. In areas with tourist traffic—like Beaufort, where other companies may already be offering tours, Wunderly recommends discussing plans for outdoor guided walks and other activities first with tour business owners and explaining how your institution’s programs will differ from theirs. Also, be careful not to undercut their prices for programs with overlapping content. Several historic sites have gardens that literally help enliven visitors’ sense of the past. Historic Oak View County Park has an exhibit on cotton culture in a barn and a growing cotton patch just outside. The effect is an exhibit component that’s multi-sensory, educational, and fun to revisit. Children can get up close and personal with the plant that was once such an important, “King,” cash crop and see the various stages of seasonal growth and harvest. How would they know, without this kind of experience available, for instance, that the cotton flower is really pretty? In recent years Bennett Place has added a kitchen heirloom garden to its interpretations of Civil War homefront and denouement. See page 3 of the Site’s newsletter for more details. Bennett Place’s garden has become so prolific that its surpluses can even be used to benefit the community. 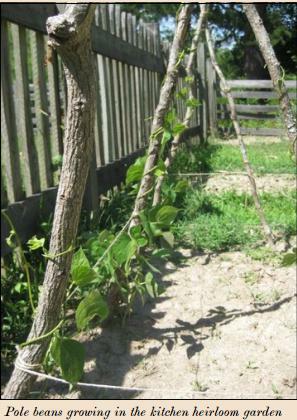 Does your institution have land for gardening? Is it in an urban landscape with possibilities for guided walking tours? Are there other forms of transportation available, like sailboats in Beaufort, that can add to the authenticity of the outdoor heritage learning experience? Exploring outside connections can open doors to new audiences and help both your staff and community enjoy the spring! Next week C2C will host 1 workshop to celebrate 2 important recognition events. Monday, April 22nd is Earth Day and also the beginning of Preservation Week. Cultural History collections often abound in natural history specimens. Bones, fossils, minerals, and taxidermy specimens frequently fill storage shelves and display cases. North Carolina also boasts some premier science museums, including the NC Museum of Natural Sciences in Raleigh, the Schiele Museum of Natural History in Gaston County, and the Greensboro Science Center. Here are some highlights of our state’s natural history collections. Displays of birds and mammals can be fascinating, especially when specimens are mounted in ways that evoke the animals’ natural environments and activities. 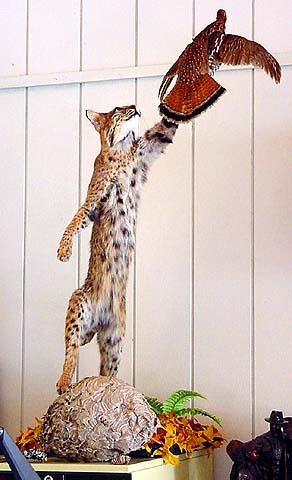 The Pisgah Center for Wildlife Education exhibits this bobcat and pheasant. 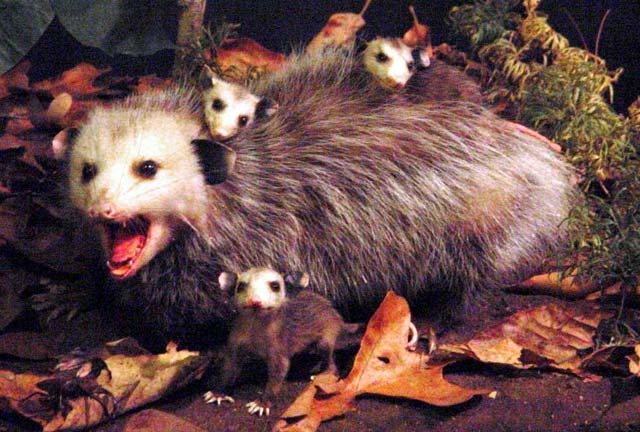 The possum mother and young dramatize the Catawba County Science Center. Fossils and other specimens can serve as evidence that particular creatures once inhabited a place where they no longer exist. The Aurora Fossil Museum tells the story of the development of North Carolina’s Coastal Plain region and its origins beneath the Atlantic Ocean. This fossilized whale vertebrae was uncovered in Craven County. Many collecting institutions, particularly in the western region, showcase gems and minerals. The Franklin Gem & Mineral Museum holds one of the largest of these collections. 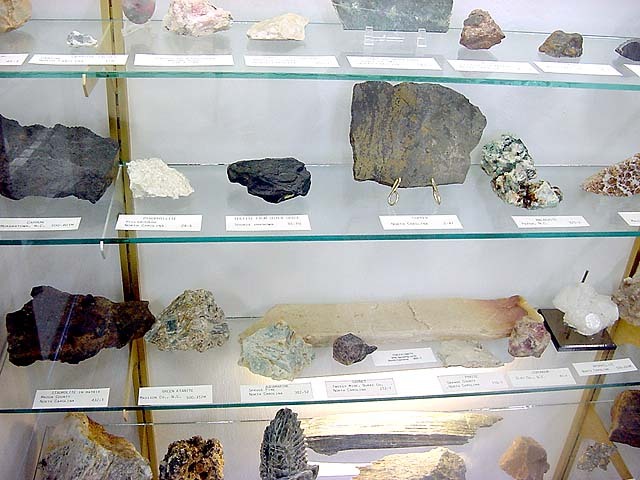 Shown here is a display of geological specimens from North Carolina. Do natural history specimens have special environmental requirements for preservation? Are they more susceptible to embrittlement than other objects? Are they more likely to emit toxins as they deteriorate? What are the best materials and methods to use for cleaning and storage? 4 experts from the NC Museum of Natural Sciences in Raleigh will address these questions and more at C2C’s workshop next week. Please consider joining us! Thanks to Martha Battle Jackson, Curator for North Carolina Historic Sites and one of C2C’s “Collections Management Bootcamp” instructors, for providing the following advice on freezing that she learned from a past AAM conference session on Integrated Pest Management. Freeze to -20º C (-5º F). Remove as much frass as possible. Bag object in a sealed polyethylene bag. Extract as much air as possible to reduce water vapor. Store at room temperature before freezing. Use a manual defrost, such as a Sears Kenmore (can go to -28º C, has a quick freeze option, and takes four hours to reach -20º C); auto defrost freezers use heat which allows the insects to adjust to changes in temperature. Use an electronic data logger to monitor temperature and humidity changes; insert a probe as close to the core of the object as possible. Non-porous materials, such as metals, can develop condensation if in contact with organic materials; put a buffer between materials. Cotton batting will reduce freezer effects. Keep at -20º C for 48 hours. Thaw for 8 hours @ 68º F -70º F.
Follow with second freezing cycle of 48 hours (“double reduction method”). Allow to come to room temperature before opening. Continue to monitor objects to make sure there is no further evidence of pests. Objects that can be frozen include textiles, furs, skins, leather, wood, and books. Do not freeze composite objects, objects with painted or illuminated surfaces, or fragile objects without consulting a conservator first. Conservators have studied whether freezing has harmful effects on a variety of materials. Dimensional changes in wood and delamination (especially in the cases of veneer and glued joints) are risks. In many cases, however, the risk to the object from pests or mold is far greater and freezing is an appropriate salvage method. Conservator Ellen Carrlee conducted an observational study of the effects of freezing a large and varied collection of ethnographic objects. Among objects that conservators deemed stable enough to try freezing, there were no noticeable negative effects from the treatment. 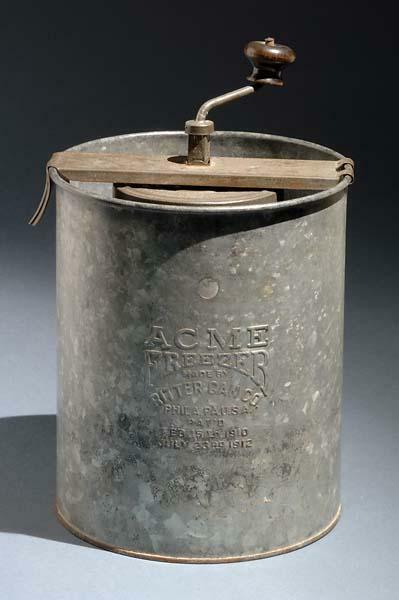 Museumpests.net has helpful guidelines and discussions about freezing artifacts. Click here for more on this important topic. Thanks to conservators Paul Himmelstein and David Goist for sharing their expertise on lighting and light filtering at the North Carolina Museums Council’s annual conference last week. LED lights do not emit ultra violet light. Consequently, they are safer for collections preservation than fluorescent lights. LED lights generate much less heat than incandescent bulbs—another preservation advantage. LED lights will save institutions money in electric bills and institutional labor costs. Because they emit less heat than incandescent lights, their use will decrease the need for cooling energy. Flaws in both the research and the reports of it mistakenly marred the reputation of LEDs. An LED manufacturer quickly responded to the Huffington Post’s article and asserted that the lights used in the research were not LED at all but another type of lighting (xenon) that emits ultra violet light. The recent articles also neglected to discuss that the fading yellow pigments in Van Gogh’s works were old news, predating the switch to LED lights. In 2012 a team of European scientists and conservators published the results of their work on chrome yellow pigments used by Vincent Van Gogh…Unfortunately, the research team also made the very strong, but substantially untested, assertion in a press release that the pigments in question are likely to be selectively sensitive to the white LEDs increasingly used in museums. Significantly, they did not draw this conclusion in their peer-reviewed publications, possibly because it was based on highly unrealistic accelerated light exposure test using a test illuminant completely unlike an LED. In fact the accelerated aging light source is unlike any other museum lighting short of displaying the paintings outdoors, without glazing, in the sun…Astonishingly, given the importance of the issue they have raised, they did not actually test or even model the damage potential of…LED, nor did they compare its putative effect with conventional tungsten lighting, which they neglected to explain, must in principle also affect the pigments to a similar degree. Finally, to compound the misinformation…the press release included an LED spectrum with the label “[e]mission spectrum of a typical ‘white’ LED, containing a substantial portion of harmful blue light”. The spectrum shown in fact is not typical of – nor even recommended for – any light-sensitive artifacts. They also omitted the important qualifier that in order to render the colors of these paintings satisfactorily any illuminant must contain a proportion of “harmful blue light”, not just LEDs. 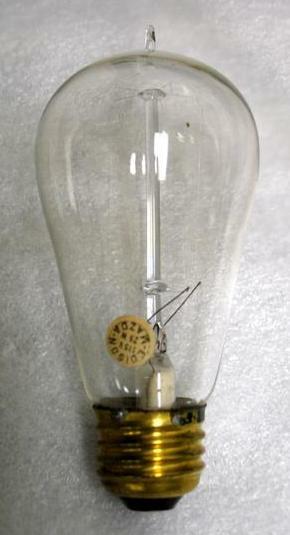 For works of art on paper, textiles, decorative arts, and paintings with known sensitivity issues, the types of LED recommended by conservation scientists are those that most closely resemble the visible portion of the spectrum of tungsten lighting that, for the most part, have been used for the last century to illuminate museums. These LEDs…represent no greater risk than the lighting they replace; indeed there is some research indicating that they are marginally safer. We believe it is wrong both in principle and on the available evidence to characterize contemporary LED lighting in general as less safe than the traditional alternatives; and it is irresponsible to publicly imply that museums have begun to phase them in without considering their relative damage potential. In view of the energy and many other advantages that LED lighting offers, and the availability of a wide range of white light LEDs with virtually identical spectral properties to tungsten lighting, it would be better argued that museums would be foolish not to consider their adoption. Have you considered the investment of switching to LED lighting in your institution?